This Manor collection home with full front stone and brick veneer offers beauty inside and out! 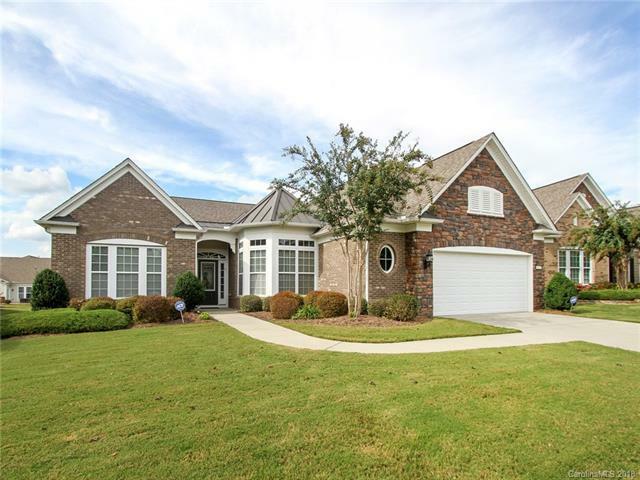 Featuring fresh neutral paint throughout, new carpeting in the secondary bedrooms, hardwoods in the master and great room, plantation shutters and so much more. Kitchen offers stainless steel appliances, granite countertops, gorgeous cabinets with an abundance of storage & a kitchen island for that extra work space. Enjoy an evening fire in the great room with the gas log fireplace and a spacious feel with the open concept. Trey ceilings in the master bedroom and breakfast room, and the master bath features a garden tub with a separate glass encased shower. Natural light abounds in the sunroom where you can relax or entertain guests in a beautiful setting. Inground irrigation is a bonus to help keep your yard and landscaping beautiful. This home is move-in ready! Come check out the community and the active adult lifestyle of Sun City Carolina Lakes.